Shred some ice on the competition, and pack the stadium at your next game! The Hockey Flyer features a player's skates in a full stop, spraying cold ice across the rink. 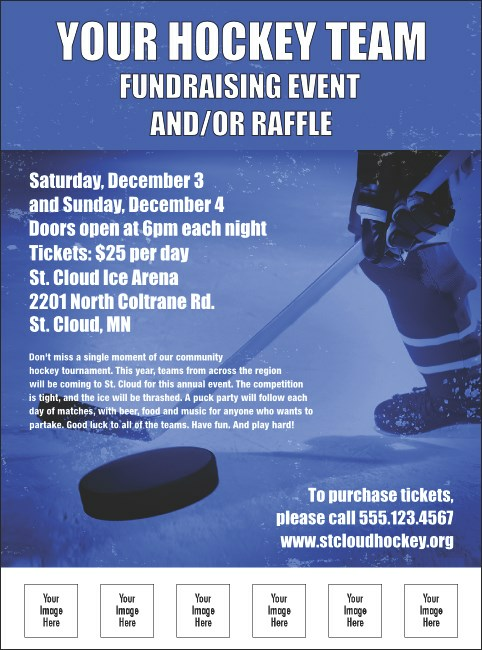 With plenty of room for your event information on this template, and the ability to upload seven personal images or logos for your sponsors, the Hockey Flyer is your powerplay! Brand your team with consistency! This flyer design is also available in matching promotional materials!